This is a pair of bespoke school aquariums which were recently installed at Dulwich College in south east London. We worked with the client’s architects to design the aquariums which are in a corridor in the new science block. 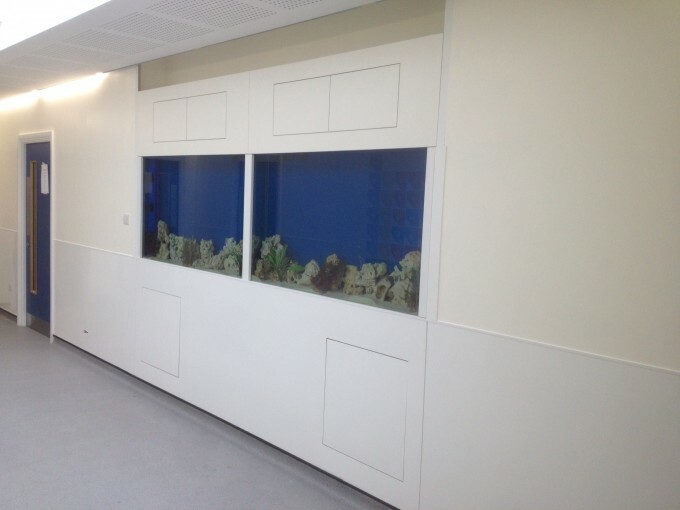 These are amongst many school aquarium projects that we have completed throughout the UK. We worked directly with the college’s main contractor Quinn London on these aquariums and were able to install and set up in the very tight time frames which we were given. The aquariums are set up as one cold water and the other tropical as part of a long term science study within the school.